A Melbournian who wonders as I wander. I have spent a lot of life colouring in moments and take great pleasure in creative expression of experience. Interested in Design, Art, Film, Photography, Painting and all things French. What do you feel like doing on a 7.30pm? The nights in Melbourne are getting cooler and the energy at the end of summer lags. Doesn't a nice warm room, filled with the vibe of friendly energy and lots of humour sound cosy? Emily Tressider is offering this until the 21st of April. 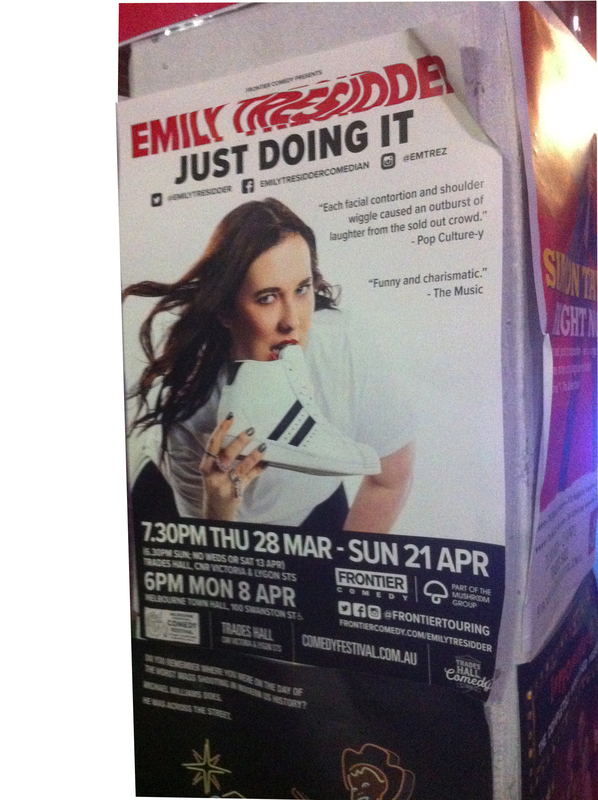 7.30pm Weekdays Saturday and 6.30pm Sunday at the Trades Hall, Emily's humour flickers and tickles with sparks of wisdom and a wry understanding of life. Emily has that type of charisma that commands a room when she enters. Immediately there is a sense of relaxation as she commands the stage with poise and grace. Attired in black, which stood out well from the stage, her clothing and jewellery glittered with a sense of her personality that resonates with where she leads you. Emily opens up her life to the audience as if you are her close friends and you feel privileged to laugh with her. Her thinking strikes a chord with everyone's experiences and there were many nods and sheltered grins of agreement. The audience was brought alive by her energy. A vibrant crowd were there to have a good time and you could tell they were very much so. It was a bit like group therapy at times. 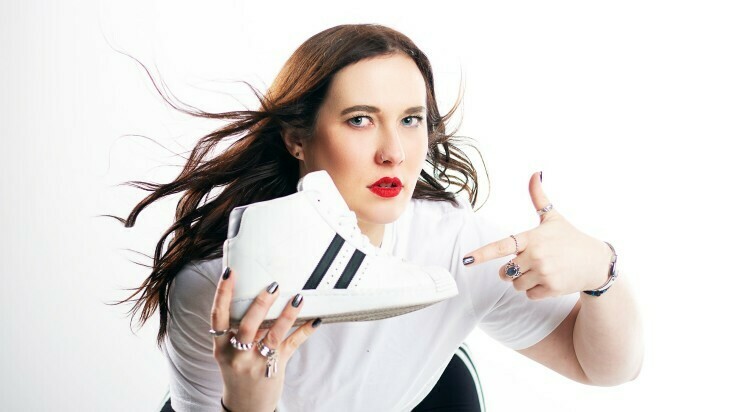 Emily gains your sympathy and your heart and with so many shows going on at the comedy festival, this is a great one to support. The Trades Hall is well situated on the corner of Russell Street and Victoria Street. It is just above the Old Melbourne Gaol and easy to wander along to. It helps If you know your shoe size and perhaps you should work on your pilate's core strength before you enter. Just so your sides don't hurt too much from laughing and you can feel a sense of superiority over the type who wears 1500 dollar shoes that you just know Emily must be a star at selling. Go and be encouraged to 'just do' your life. Emily proves you can.